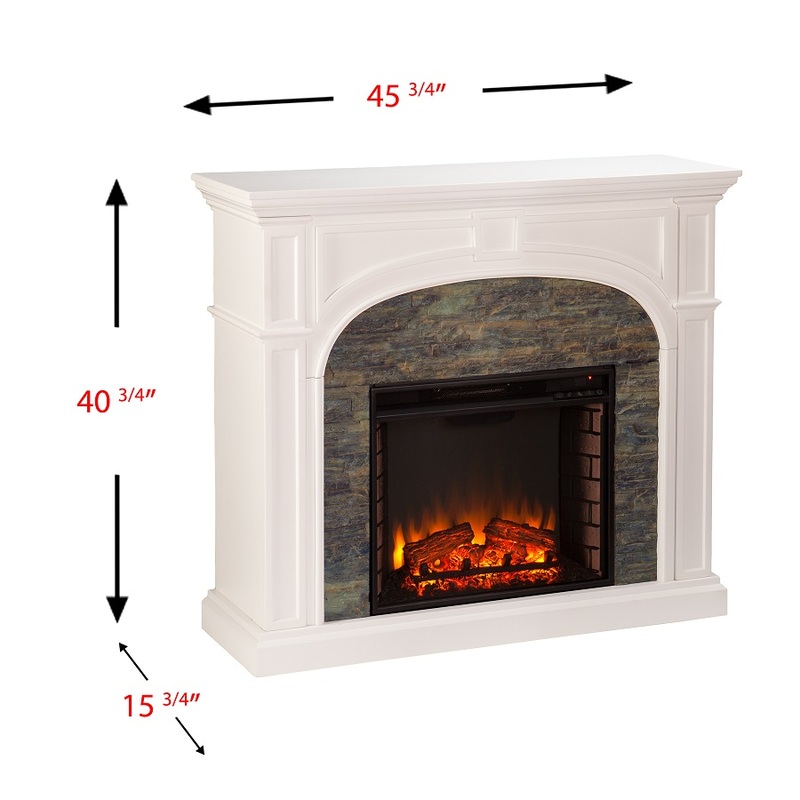 Even cottages on the beach want the essence of a flickering fire, and with this electric fireplace, they can attain it. 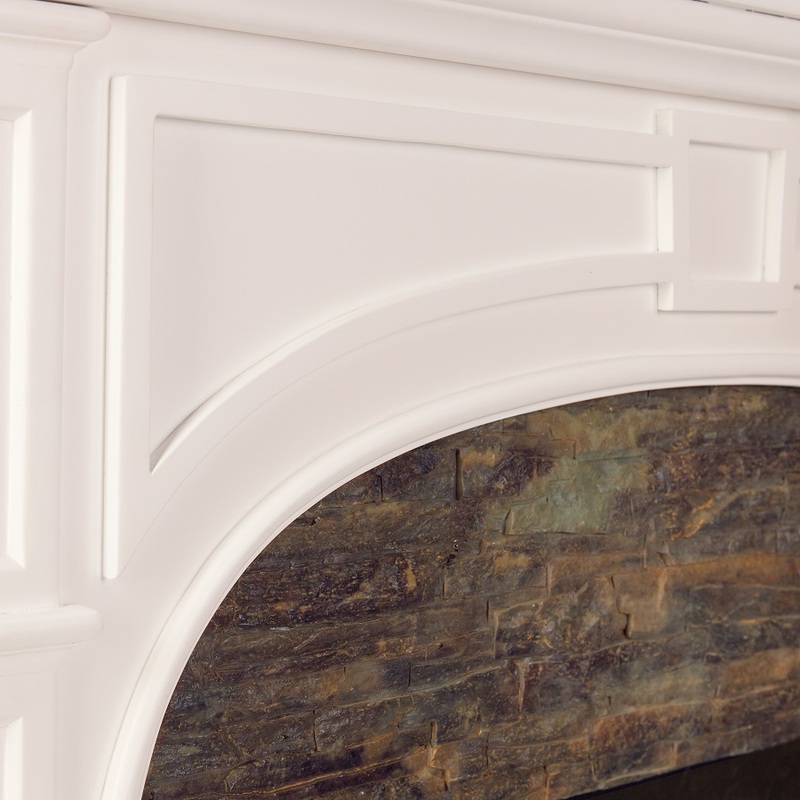 A crisp white finish arches over the realistic montelena faux stone surround while cleanly linear woodwork subtly catches the eye. 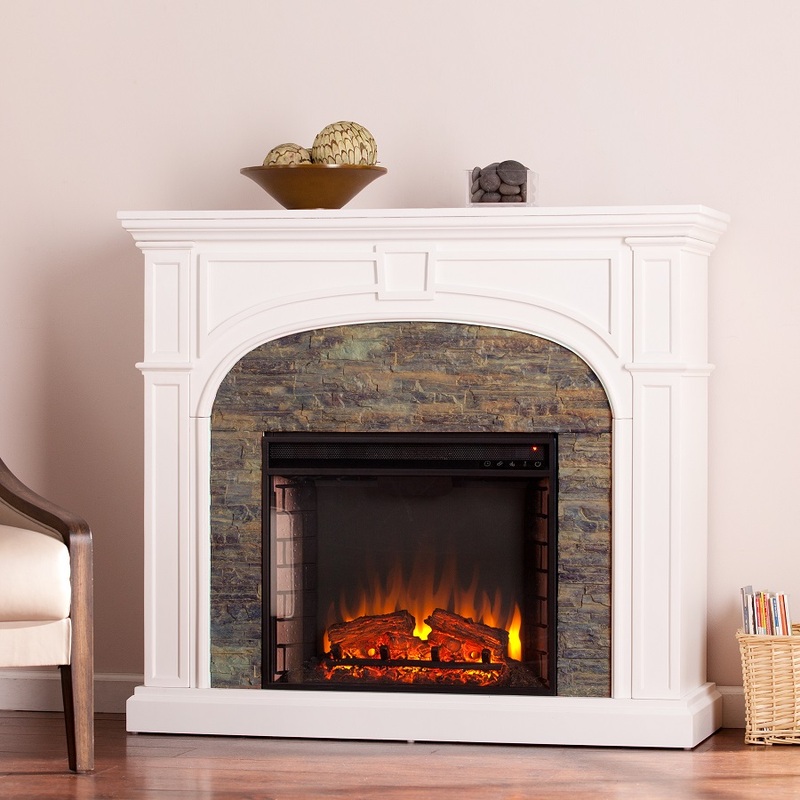 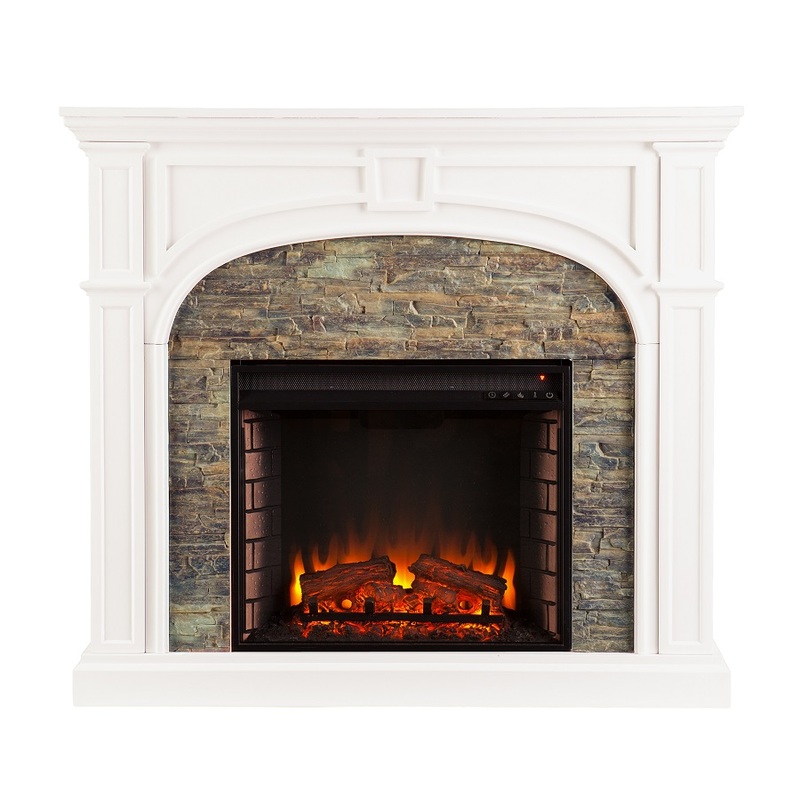 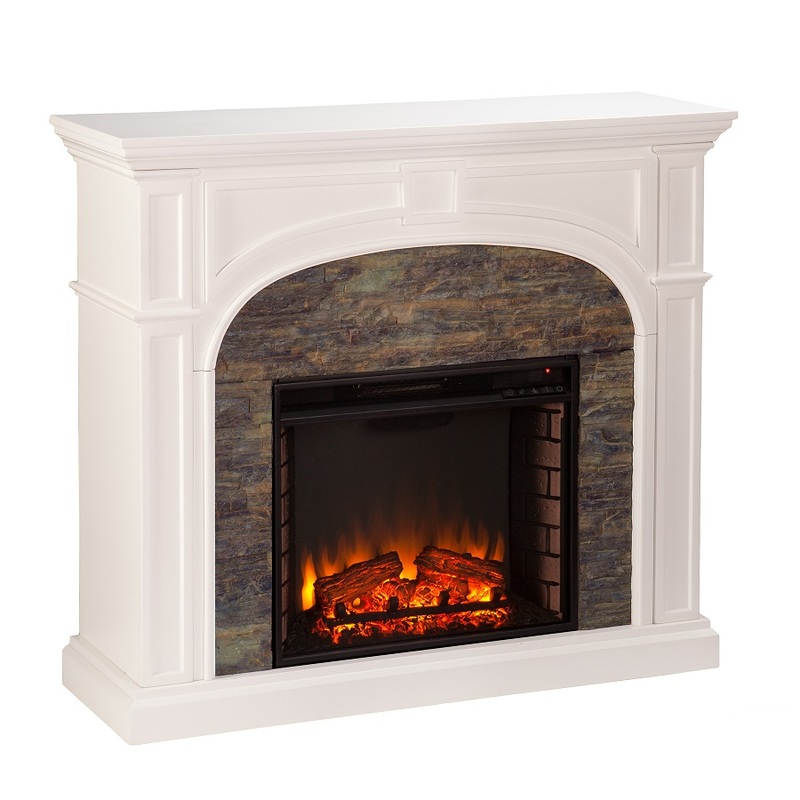 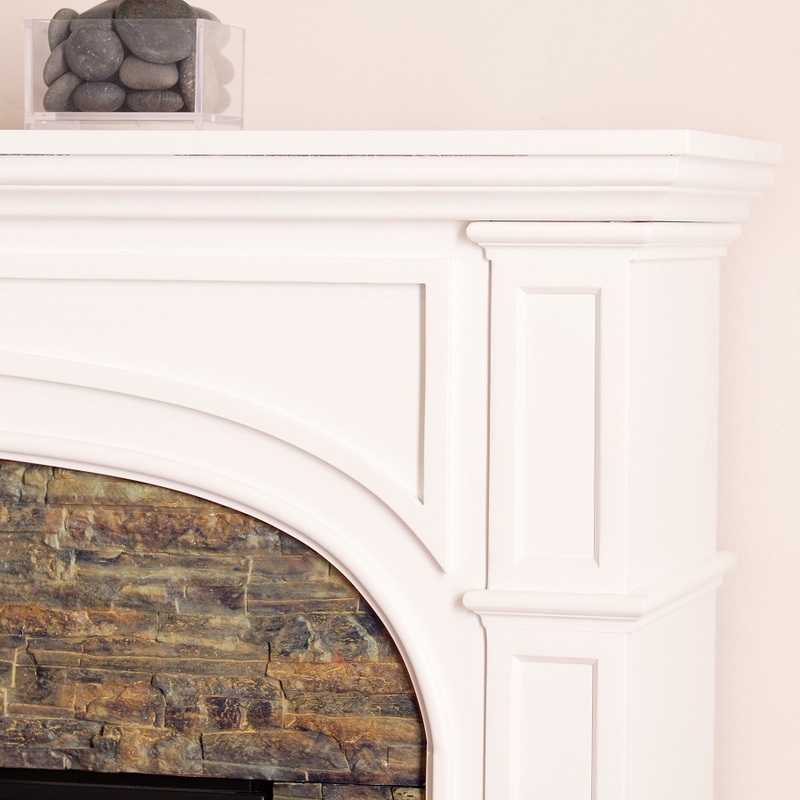 The firebox has multicolor flames, glowing embers, and an interior brick design for a lifelike look; bring any room to life with this coastally traditional piece.